This is the actual DVD that you get when you purchase a copy of The Girl with the Dragon Tattoo. Looks like a burned pirated copy, correct? Well, that is what a lot of people who rented the movie thought. 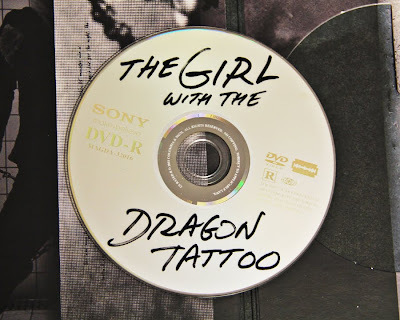 I guess people have been calling up rental places believing that the person who rented the film before them took the bar code off, burned the disc and kept the real copy. The first time I saw t his picture I thought it was burned too...but then you see that the rating is on it.